Hit the links and play a round of golf. Gather with friends at an elegant cocktail party. Win a signed guitar or a one-of-a-kind concert experience during a live radio broadcast. All of Blythedale’s events directly support the programs and services that affect the lives of medically fragile children and support their families. We invite you to join us at one of our special events. The Stuart H. Dix Memorial Golf Outing and Dinner, co-hosted by Michael Brown, and Farrel and Steven Starker, will be held on Tuesday, June 25 at Hudson National Golf Club in Croton-on-Hudson, NY. 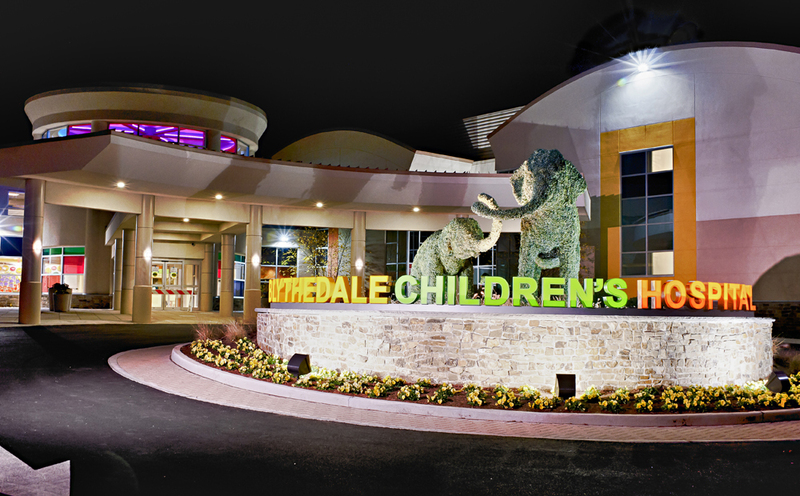 Click here to learn more about this beautiful tribute to a beloved member of the Blythedale family, and how they've raised more than $2 million for Blythedale over the last seven years. Join us on Tuesday, September 10th as we host the BNC Insurance Golf Classic for Blythedale. This year, the outing returns to GlenArbor Golf Club in Bedford, a favorite course for Blythedale. Last year's event was a record-breaking success, raising more than $260,000 for the Hospital's Health Home program. Click here to learn more about our 2019 event! Blythedale’s annual gala fundraiser is a popular and elegant affair. Last year's event raised $800,000 for the Hospital's Tiny Miracles program. Stay tuned for information on the 2019 event! On October 22nd, join the fun and Dine Out at your favorite participating restaurant to benefit Blythedale! Last year more than 150 restaurants participated in our first Annual Dine Out event . Click here to learn how you can get involved. Sponsorhip opportunities are available. For the last 26 years, Scott Shannon has broadcast his final live show of the year from Blythedale. This is always a fun event for our patients and their families. Click here to read about our 2018 event, and stay tuned for an announcement on this year's date! For more information about these exciting opportunities, please contact Special Events Coordinator Toni Marie Favata at tfavata@blythedale.org or (914) 831-2454 for more information.